So, I promised that I’d share about my planner with you this month and I cannot wait! I LOVE planning and having a place to do it just makes it even better. It’s one of the major things that keeps me organized, keeps me on track, and keeps everything running smoothly, so this is one of the most important things I feel that I can share with you. Before I dive into it, I wanted to update you about one of the topics I shared last month. I have decided to go ahead and have a book club for the Hands Free Momma book! I’m thinking about kicking it off on November 1, and it will be super super informal. We’ll be taking our time, and having a chance to chat about the book. So, if you are interested, would you please let me know and then I’ll know what type of forum we need to host the book club portion. I can’t wait! Now, on to planners! I get asked alot, if I do my planning on the computer and what app I recommend. Well, I can’t recommend an app because I don’t use one, lol. I’m an old school, planner gal (picking out my planner was my FAVORITE back to school activity! ). I’ve gone through several planner brands over the past couple of years- starting with a super simple calendar style planner from Target, to a more sophisticated calendar the did not work (and thus I can’t even remember the brand, lol! 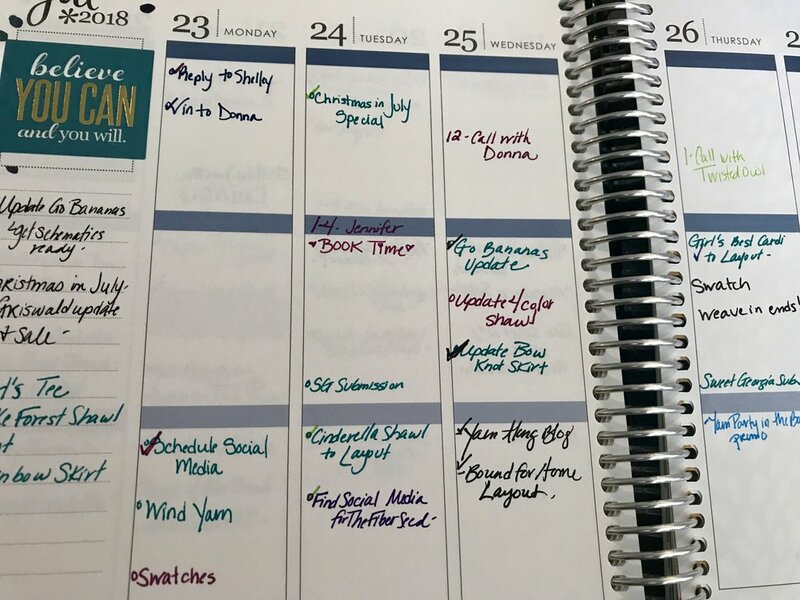 ), I used an Ashley Shelley Planner for a few years, which I loved for it’s monthly layout, but I did not need all the more “Business” related features, particularly the time scheduled parts. I ordered my first Erin Condren Life Planner last year, and I don’t think I’ll be switching anytime soon! In fact, I even ordered the EC Monthly Planner for my job, and the Teacher Planner to keep track of our homeschooling things. I find that the layout of these planners works the best for my more creative focused business! I’ve developed a planning system that works for me, so it might not necessarily work for you, but that’s ok. Try it, tweak it, and make it into something that DOES work for you. The key is to get something down, to make sure you know when you HAVE to have something done, and an overview of how you are going to get there! 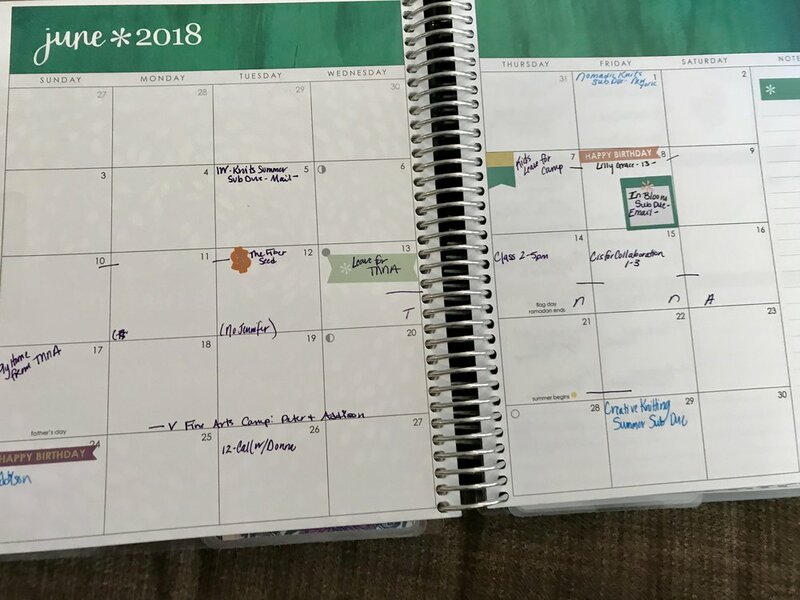 At the start of the year, or on Planner Day as I call it, lol, I pull out my planner, and put in all key dates on the Monthly Calendar Spreads- those things like, Birthdays (I do not work on my birthday! ), Anniversary, my kid’s breaks from school, and any events that I know that I’ll be attending over the year. This gives me a nice place to start, knowing the dates that I am not available, and it makes sure that I give priority to the things that matter most to me (my kid’s birthday’s being one of those top things! I make it a point to not travel over their birthday’s!). Then, I’ll pick a day when I have some time on my hands. I’ll either make sure it’s an afternoon I won’t be disturbed at home, or a time when I can get out to go to a coffee shop. I’ll get comfy, and dream about the things that I’d like to see happen over my year. Then, I’ll flip to my Yearly Planning Spread, and I’ll start to plug those items in (for example, my Christmas KAL will always fill the November box! ), this gives me a place to plan for, and dream, and a forward motion for my business. If I have KAL’s planned, or collaborations, it gives me a space to make sure they are spread out, and an overview of what my year will look like. This isn’t set in stone, and I can be a little flexible, but it gives me a place to start. Then, I do my weekly planning. For my business, I take time every Monday to plan out my week. This way, I can make my week work as efficiently as possible. I can spend an afternoon typing patterns, I can spend a day working on emails, I can spend a day laying out patterns, that way I’m not jumping around from thing to thing, like a squirrel leaving things undone. It gets items typed up neatly. I know when my deadlines are, when proposals are due, and when I shouldn’t even send things out because my week is just booked. I make a little circle beside each item that I need “to do”, so that I can check off each item as it gets done. I schedule no more than 3 big items per day, and I try to have at least 2 days that are lighter, and have tasks that don’t have me sitting at the computer. I also keep my Friday’s open. That way, if I get behind, I have an extra weekday that I can use to get the work finished, and if I’m not behind, than I can use that day to get ahead of next week’s work, or I can get caught up on my knitting. I also use Friday to do my School Planning for the week, so I know what errands I need to run on Saturday and I can my a supply list and not get caught off guard when we need to do a celery experiment for science the following Tuesday (ooops! I think I still have forgotten to do that one, though). At the end of the week, I’m able to see what is getting done, what is being missed, and I can take stock of how my week went- how it felt physically, emotionally, and productivity level. Evaluation things week by week means that I am tweaking things as they happen and making for the most productive week I can have. It also means that when my older kids are on Fall Break, I make sure that I am spending more time sitting and knitting, because that’s what works best in that space, lol. Hopefully that helps with the overview of getting yourself organized and planned! What types of nitty gritty planning are you looking for some insight into? Have you been trying to pack too much into your day to the point that you just don’t get anything done? Have you been saying yes, when your initial gut reaction means you should be saying No? Maybe you are looking into buying your first planner ever, what type of organizational system do you need to fit your needs?